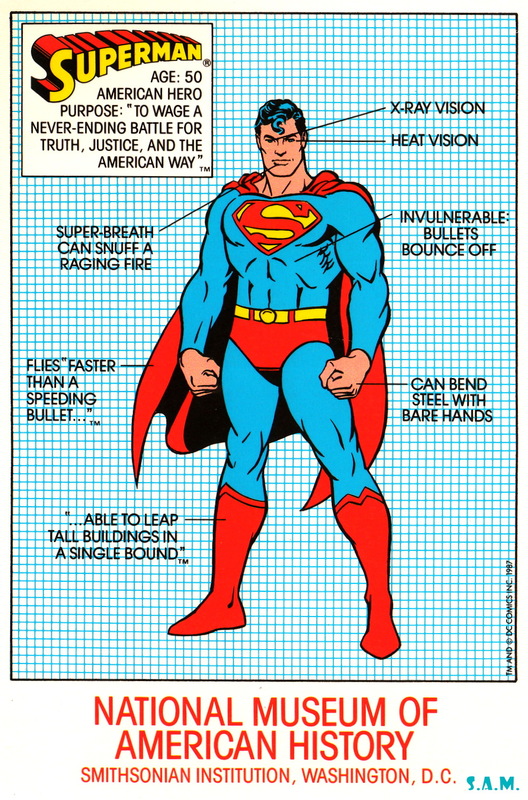 Courtesy of Superman In Advertising And Media come these exclusive vintage photographs of the artefacts featured in The Smithsonian Institution’s ‘Superman, Many Lives, Many Worlds’ exhibition circa 1988. 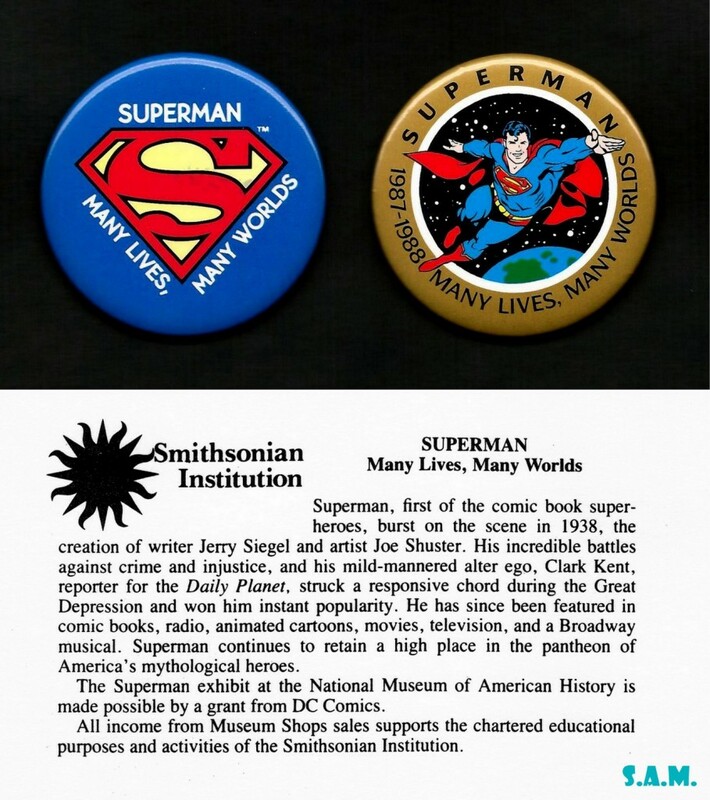 Celebrating the 50th anniversary of a true American icon, SUPERMANIA continues its retrospective from the star-attended opening (click here) to the significant collection on display and even some memorabilia from the event itself. 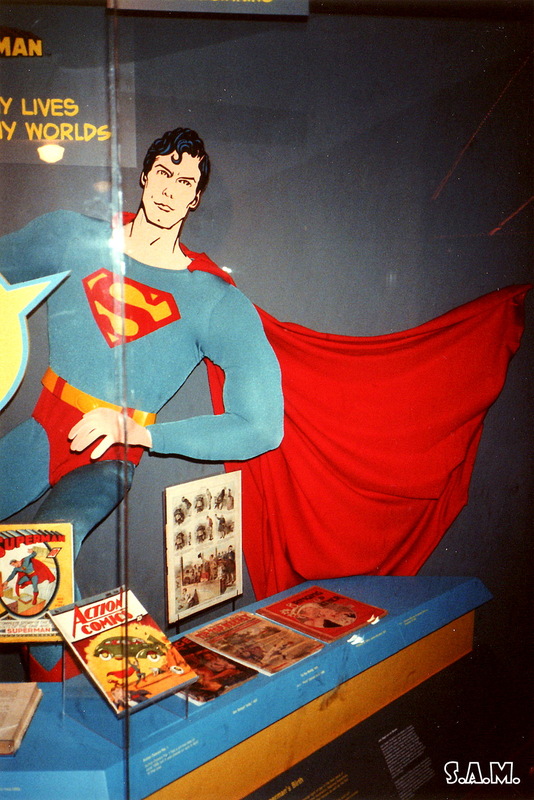 While the George Reeves TV show The Adventures Of Superman features prominently behind the plexiglass, the recent release of Superman IV: The Quest For Peace had clearly yielded some treasures under the banner of ‘A New Superman In Hollywood’ where both Christopher Reeve’s Superman Costume featured at one end (top pic) and Mark Pillow’s Nuclearman costume at the other. 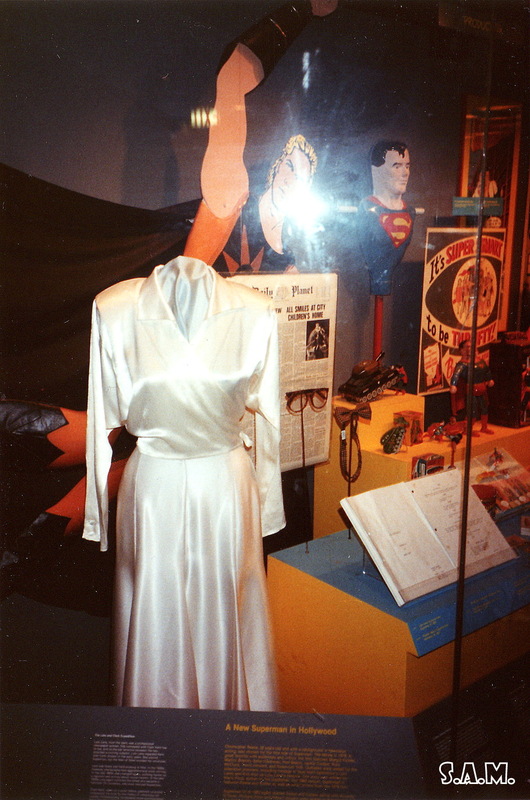 Quite why the expensive outfits were mounted on such cheap wooden cutouts is a mystery but faring better is Margot Kidder’s silk dress (second pic) accompanied by no less than Reeve’s Clark Kent glasses and Marc McClure’s bowtie worn as Jimmy Olsen.